According to the latest U.S. Census data, approximately 12% of Americans move each year. While most of these moves are local, many are across state lines. Planning, packing for, and executing a long distance move is far from easy. In addition to managing moving and storage logistics, those moving must contend with many other relocation factors like finding employment, buying a new home, kids changing schools, and other mundane tasks (like updating addresses, switching insurance policies, and transferring utilities). With the seemingly endless list of moving to-dos, it’s no wonder moving is deemed one of the most stressful life events. To most, moving is one of those experiences that seems like a downright pain in the…well, you know. They Drive – If you’ve ever driven a U-Haul more than a block, you know what a doozy it can be! With ample blind spots, a lacking turning radius, uncomfortable seats, the occasional flat tire, and a speedometer that tops out at grandma speeds, driving across the country in a rented truck can be a taxing, vexing, and downright miserable experience. When you hire a professional mover, you say sayonara to all the woes of driving a rental truck. No Wrangling Family and Friends – At times, getting family and friends to help you with the move might feel a bit like wrangling cats. Friends who are always down for a night out suddenly have aggressively full calendars, while the ones that do show up spend more time drinking the beer and eating the pizza you provided than helping with the heavy lifting. By hiring a real-deal moving company, you can skip the lame excuses and get efficient, timely move results. Movers Assume Liability – Speaking of friends, you love them, but do you trust them to care about preserving your possessions without a dent or scratch? If you fear your friends might get a tad too creative coming up with ways to get your belongings down from the third floor, then hiring a legitimate mover is a worthwhile investment. Not only are movers trained and well-versed in the proper moving procedure, but they also assume the liability for replacing your things if something does go wrong. No Heavy Lifting – Want to know the secret to avoiding lower back injuries? Don’t lift a finger! With a professional mover, you can let someone else hoist your California King-sized mattress down two flights of stairs. Proper Equipment – While most movers do have impressive muscles for all that lifting, they also come equipped with the right tools to get the job done. Dollies, furniture straps, hand trucks, moving blankets, plastic packing wrap, sturdy boxes, buckle straps and more help ensure that your items survive the entire relocation. Save Time, Energy – The best part of hiring moving companies is undoubtedly the time and energy it saves. During this hectic time, a mover can free you up to do more important things than figuring out how to Tetris all your boxes onto a moving truck. Licensing – Hiring a mover that’s unlicensed is a big no-no. Can it really be so terrible? Are Somali pirates evil? Yes and yes. Many “rogue” moving companies operate without a license. These movers come disguised as a deal that’s too good to be true, then scam customers into paying stacks of cash to get their things back. For your safety, always go with a moving company that has all the proper credentials. Local or intrastate moves are regulated on a statewide level, with licensing through the state’s department of transportation (or equivalent). For an interstate (aka long distance or cross country) move, a moving company must have a valid license and U.S. DOT number issued by the Federal Motor Carrier Safety Administration. How do you know if a moving company is licensed? Most movers display this information on their websites and are required to display their U.S. DOT digits on their trucks. You can verify their license status and safety records online through FMCSA’s Protect Your Move Portal. Reviews – There are lots of places you can turn to for reviews – Yelp, Google My Business, Facebook, and Angie’s List, just to name a few. We recommend looking at the company’s overall rating and the number of reviews it has in comparison with its competitors on one or more of these platforms.  Moving Mule has our own proprietary algorithm to rank moving companies based on reviews from multiple review platforms. Use our rankings to find the best moving companies that service your area. Professional Membership – While not a requirement, many reputable companies join trade associations or their local business chamber, or volunteer with non-profits. We like to ask our Moving Mule partners what organizations they affiliate with to get a better understanding of their priorities. Many movers we work with are members of the American Moving & Storage Association, their state moving associations, and their city’s Chamber of Commerce. Others do great work volunteering in the community through local service organizations. By helping you find long distance moving companies you can trust, our goal is to make your move as seamless and stress-free as possible. Instead of pulling out your hair and stressing out the whole fam, you can kick back and let the pros do all the work.